A lot of pixels have been spilled over the primary election win of Democrat Alexandria Ocasio-Cortez on June 26. Regardless of the methods of her election or her platform — or the buzz around beating 10-term incumbent Joe Crowley in New York’s 14th Congressional District — if she wins in November she will be one of 435 members of the House of Representatives. To get anything done, she will need help from other legislators as she attempts to carry the momentum from her district to the Congress. What help can she expect? “Establishment Democrats” is shorthand that rose to common usage during the 2016 primary season to serve as the whipping boy for all that was perceived to be wrong with the Democratic Party. Think of Congresswoman Debbie Wasserman Schultz or maybe John Podesta. To the extent members of congress have been categorized as part of the establishment, I believe Ocasio-Cortez will find more common ground with them than not. In any case, she could take a lesson from establishment pol in chief Hillary Clinton when it comes to legislating. Become less a personality in the Congress and more someone willing to work hard to find common ground on issues that matter as Hillary did when she was elected to the U.S. Senate from New York. If she does this, such establishment Democrats as there are will reciprocate. The Hispanic caucus has been welcoming despite being more conservative than Ocasio-Cortez. One of her signature policies is abolishing ICE and she outlined a process within the caucus to legislate it. Abolishing ICE is a lightning rod that could diminish Ocasio-Cortez’ influence. I predict regardless of the outcome of abolishing ICE, media (and not just FOX News) will paint her as either a hero or the goat soon after the 116th Congress convenes based on this sole issue. A competent legislator will find there are a lot of ways to shave ice. The Congress has been unwilling to address immigration and naturalization since the Reagan administration. If the time has come, I believe Ocasio-Cortez and the Hispanic caucus will be part of it, bringing new energy and ideas to the stale debate. More than anyone in the U.S. House of Representatives, Democratic Leader Nancy Pelosi knows how to count votes. 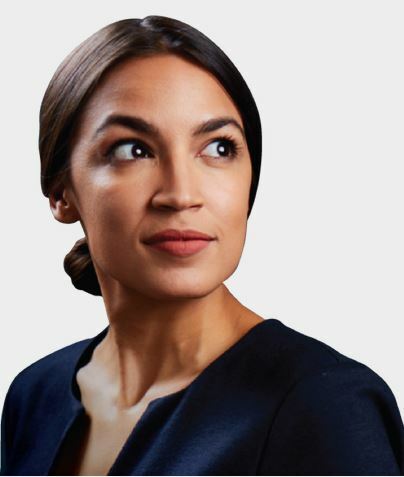 While Ocasio-Cortez indicated she may vote for someone else as speaker/leader if elected, unseating Pelosi seems unlikely in the 116th Congress. That means Ocasio-Cortez will have to develop a relationship with her to get anything done. She would be foolish not to. For Iowa Democrats who worked on many campaigns, it was great to see someone use the skills and techniques in the progressive activists kit bag to win big against an entrenched incumbent. Winning in November looks like a cake walk in Ocasio-Cortez’ heavily Democratic district. Assuming she wins, her real work will begin in the 116th Congress. She will find plenty of Democratic help among liberals, centrists, conservatives and everyone in between. Adrian Carrasquillo wrote about Ocasio-Cortez’ potential relationship with the Hispanic Caucus at The Intercept here.